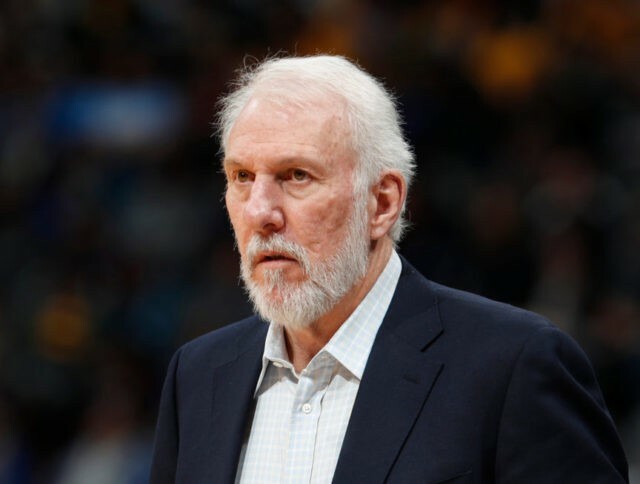 SAN ANTONIO (AP) — Gregg Popovich won’t coach the San Antonio Spurs in their possible series finale against the Golden State Warriors as he grieves the death of his wife. Spurs assistant Ettore Messina coached San Antonio in Game 3 and will again Sunday afternoon. Erin Popovich passed away Wednesday from a long-term illness. Gregg and Erin were married four decades and have two children and two grandchildren. Golden State won 110-97 on Thursday night for a 3-0 lead in the first-round series.